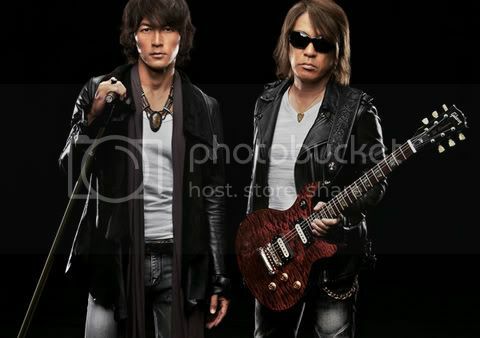 Wow, Hyun Joong is collaborating with Japan's hard rock duo B'z !! Tak Matsumoto composed the song and Koshi Inaba wrote the lyrics to "Heat" for Hyun Joong. B'z does have outstanding members. 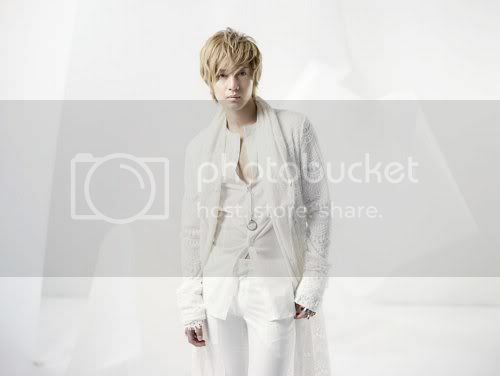 Takahiro "Tak" Matsumoto is a Grammy Award-winning Japanese guitarist, producer, arranger, composer, singer and songwriter.....as for Hiroshi "Koshi" Inaba, he is a vocalist and lyricist, as a vocalist he is known for his wide vocal range, covering three and a half octaves. I read up on them and found facts about them impressive and fascinating. If you'd like to hear B'z 's music click HERE and HERE.....and if you want to read the article about this in Allkpop, click HERE and in SS501 UFO, click HERE. Photo credits : jpopasia.com, planethyun.blogspot.com, and hakuradin88. Yes, I do agree with you. Hope there will be more great collaborations to come for KHJ !